Vape Marketing .com is a specialist vaping digital marketing resource for the new and growing industry of Vaping. Vaping is a booming business overtaking the old and dated tobacco industry. A cleaner and healthier alternative to traditional smoking. Now is the time to start a Vaping business. And if you already have a vaping business or store sign up for our services or grab a hold of our Vaping Lead lists, and skyrocket your business to the Moon. At Vape-Marketing.com, we offer Search Engine Optimization (SEO) consulting to vaping stores, distributors, retailers, wholesalers, and more to help you get you on the first page of Google’s search results and dominate your market. Check out our Blog for Vape Marketing Ideas. Any business today in any industry must be carrying out Digital Marketing in an attempt to reach out to as many potential new clients and leads as possible. NOT doing this puts you at a massive disadvantage in today’s connected digital world. Vape SEO Marketing and SMM (Social Media Marketing) are some of the essential Digital Marketing actions that you as a Vape company, shop, store or e-liquid manufacturer should be implementing. Today, a physical store can reach a certain catchment area of people. However, a digital store and web presence can reach far, far more people, IF you carry out and implement the services we offer. Search Engine Optimization (SEO), Social Media Marketing (SMM), B2B, Email Lead Lists, Vape store and shop lists. You will begin to grow your vaping business exponentially, close more sales and expand your reach into new territories and countries. Utilize our Vaping store database list to reach out to thousands upon thousands of stores and get your products into their shops. Make more sales and increase your ROI 1000%+! 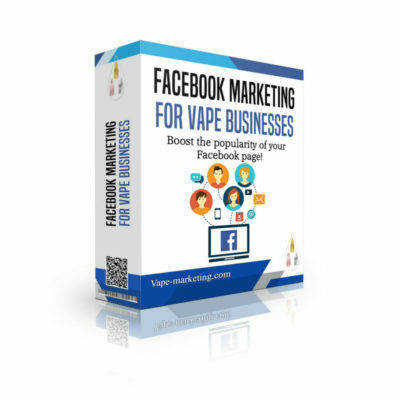 Digital Marketing for your vaping business or shop is not rocket science. When you work with us, we break down the exact keywords that your potential clients would use to find you, we then work closely with you to optimize your website, and grow your organic traffic. Contact us today using the form below, and let’s discuss how we can help you grow. Contact Us and ROCKET your sales 1000% ROI! Vape-Marketing.com had a profound effect on our bottom line. Our sales increased, our leads increased. The vape database was excellent, we reached out to every company we could, and they loved our E-liquids. Now we have a growing customer base. Sales are up. and the future is looking extremely bright! Vape-Marketing.com’s Social Media Service is top notch. We didn’t know how to do social properly. They showed us how and continue to help us do it right! SEO has helped hugely as well driving more traffic to our website. These guys know there stuff. With over 20 years in the Digital Marketing field, I wouldn’t recommend anyone else to deal with your vaping companies digital marketing. Work with them closely, listen to them, and they will help you grow. Thanks guys! Guys, I must say, a big THANK you for what you have done for my company. Before we discovered your services, we were struggling to make new sales and win new clients. Your SEO service took a while to work but massively improved our presence in the search engines and brought us a lot of free organic traffic. Your leads database was awesome, and we drew A LOT of business from there as well. We will be continuing the social media and SEO services because the results have been great. Thank you! The rate at which the society is adopting new trends and culture is quite amazing. 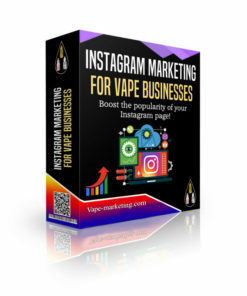 The vape lifestyle has not been left behind either and so if you own a vape shop, you need to adopt an appropriate digital marketing strategy for your vape business. One of the questions that you need to ask yourself is how to make inroads in the unexplored vape market. Notice that the number of vape users is increasing continually. So coming up with appropriate strategies to help reach more clients is the only method that can help increase your sales. 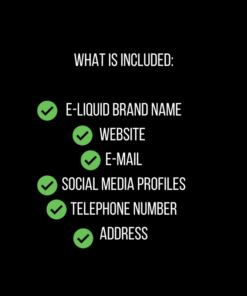 Let’s look at some of the ways that can help you increase your vape business online presence. The fact that you may not advertise your products directly on Google due to prohibitive policies mean that the only option you have is to optimize your vape site so as to tap into the ever-increasing search in the vape industry. Optimizing your site is thus, the only method that will help your site rank among the top 10 and guarantee you tones of visitors. As mentioned, the crowd that uses vape is growing, yet very few of them know where they can actually order for vape products. Because of this, it is recommended that you consider reaching potential clients through email marketing. Note that most of the vape users who are under 40 years of age are quite active on the smartphones. Consequently, you can use this opportunity to update them, give the latest news on deals, and even send them coupon notifications through emails. Marketing through videos is becoming common in almost all niches. 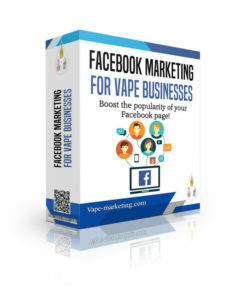 Facebook, Twitter, and YouTube are the leading sites that can help you leverage your vape video marketing. It will not only increase your customer’s traffic but will make your product look more appealing.